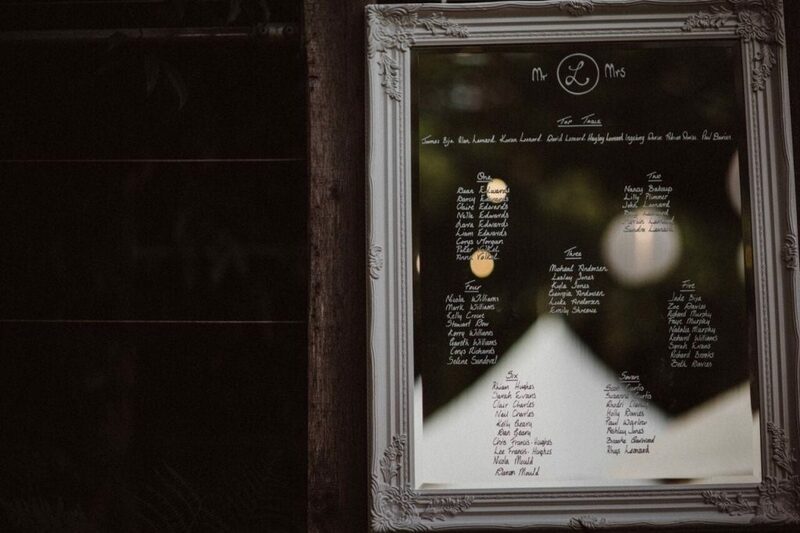 Your table plan is one of those wedding details that can sometimes seem like an ‘added extra’ but it’s actually vital. 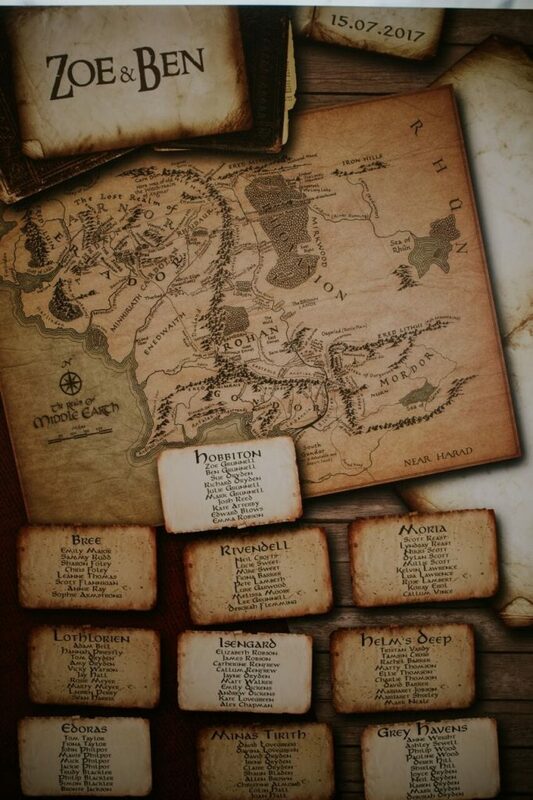 You might not realise it, but your table plan is the one thing you know that everyone is going to look at. Like, literally, everyone. So it’s worth having a plan, wouldn’t you agree? 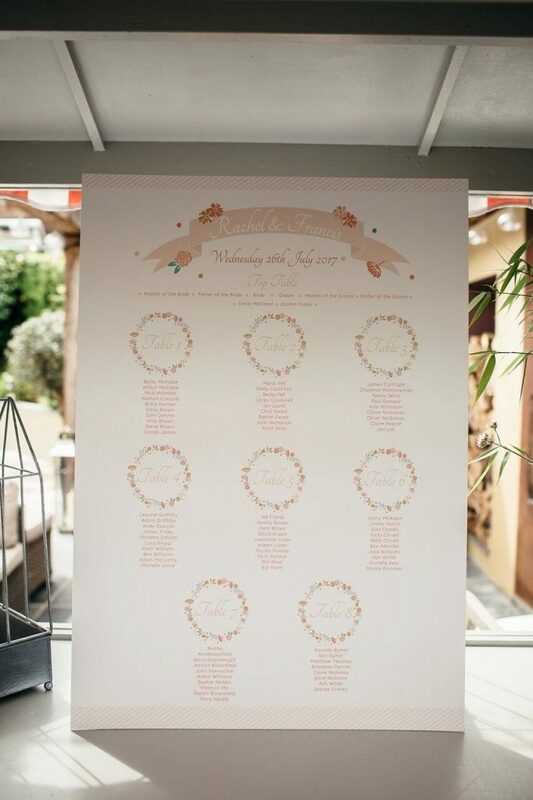 If you want a beautiful table-plan but want to save some pennies, we’ve got your back. 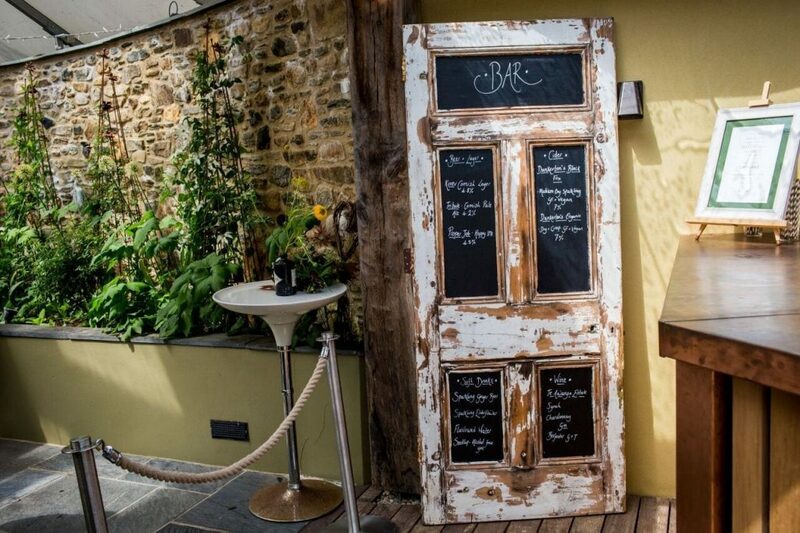 You’ve got the choice of our salvaged door or window, both of which are wonderful features to have as part of your day. 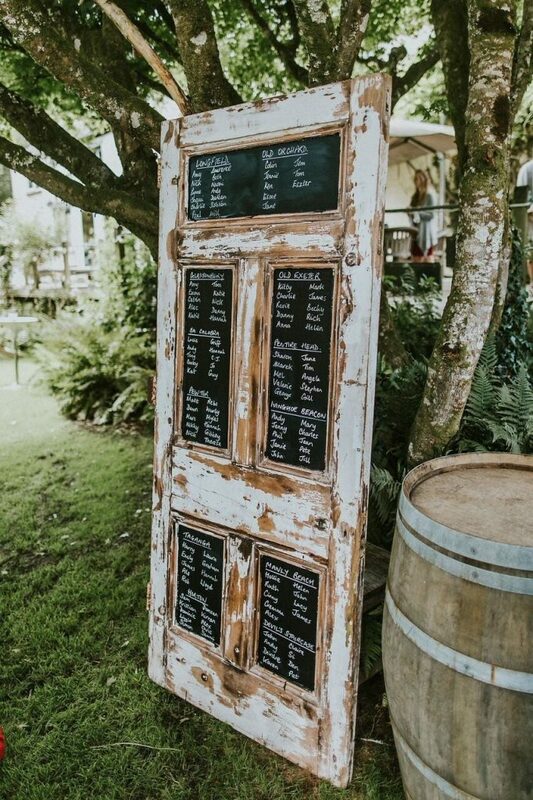 The salvaged door has one landscape section at the top (perfect for a ‘top table’ seating plan) and a further 4 portrait sections, with plenty of space to divide each section into two or three different tables. 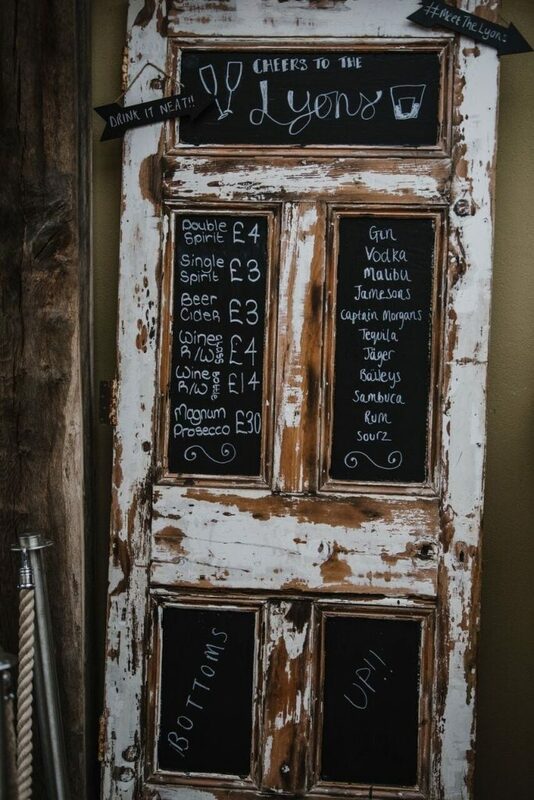 Alternatively, the door can make a wonderful bar menu! 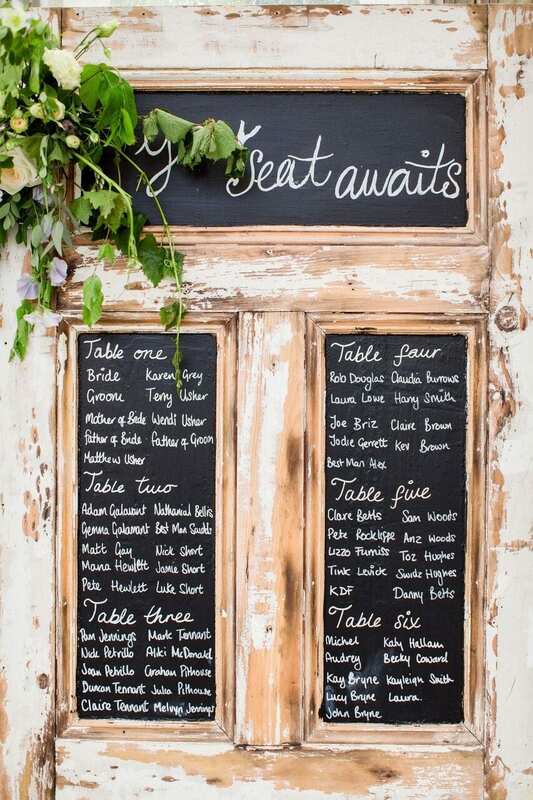 And when using the door for the bar menu, why not use the window for your seating plan? 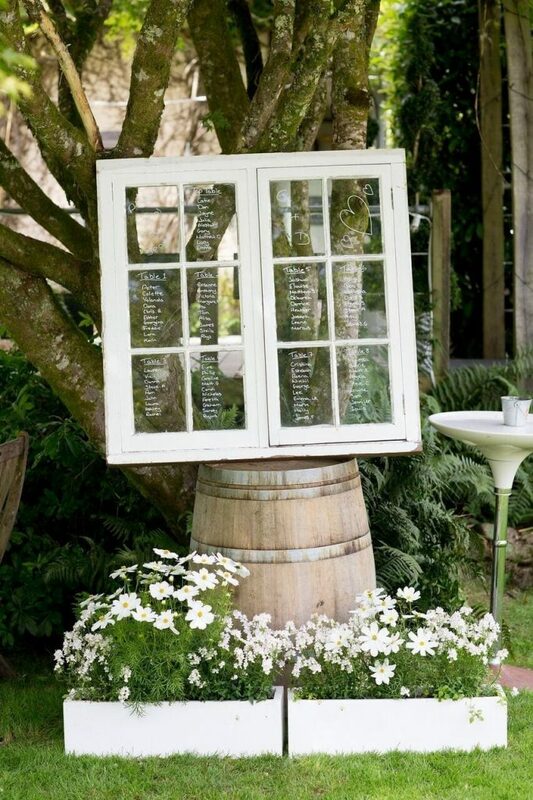 There are 12 different glass sections to write on, and it can look charming positioned in front of the water feature or on the lawns. 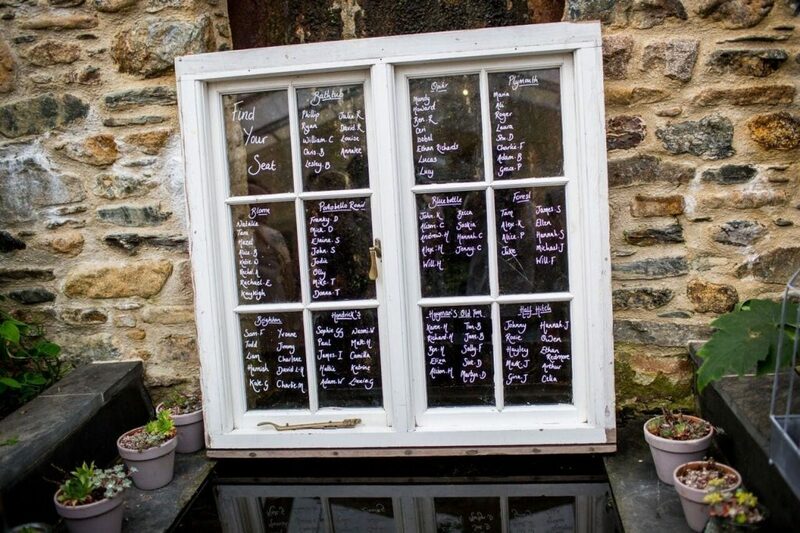 If you would like to use either the door or the window as part of your wedding day then that’s absolutely fine. 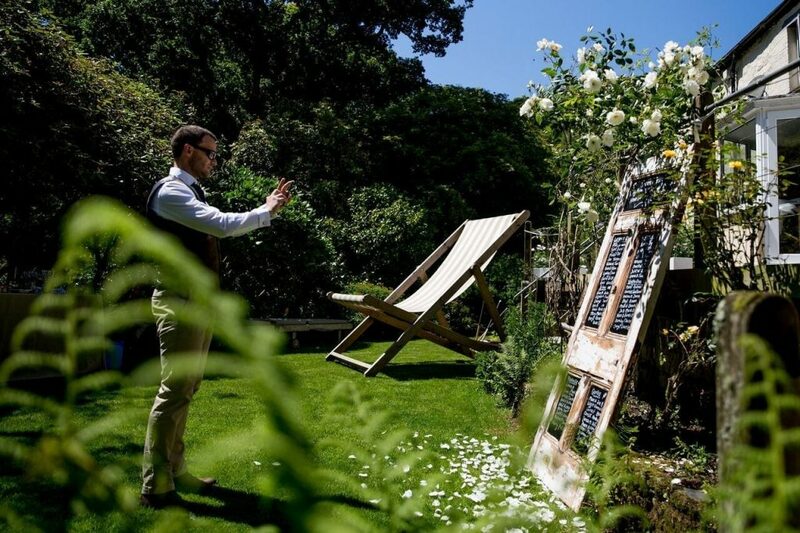 We do ask that you let us know in plenty of time so we can add it to your running order and make sure it’s available for you. 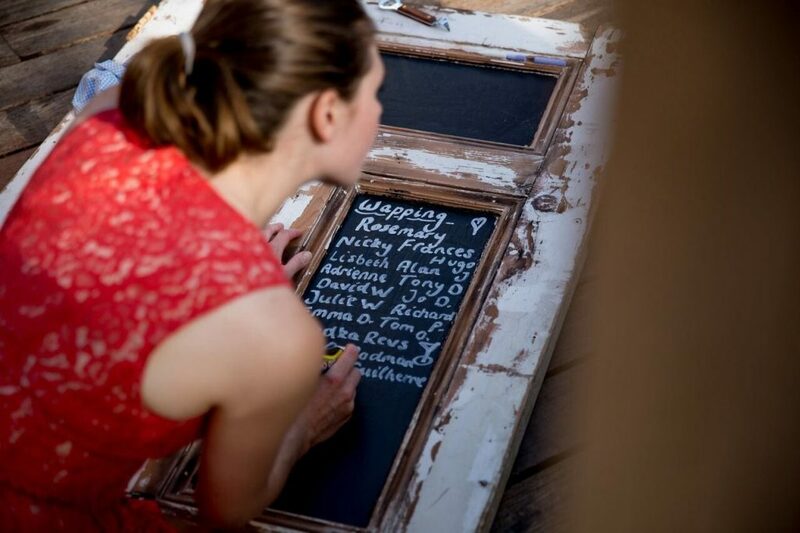 You’ll also need to bring a craft pen and allocate someone with excellent handwriting (if not yourself) to write it out beautifully. 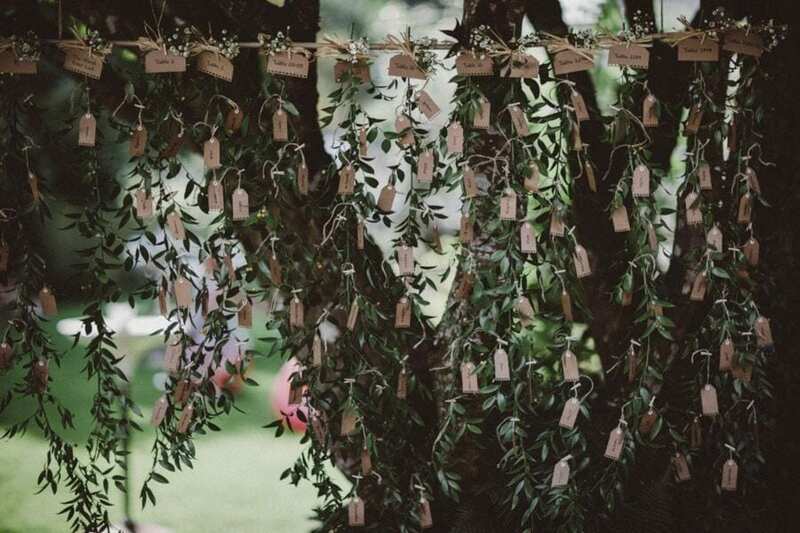 Sometimes this is a lovely activity to do with bridesmaids the evening before the wedding.